Gives you the “know how”, our series of expert videos give you the inside track on how to do it. Should you give your hair one wash or two, should you leave a bit of that conditioner in your hair, you know the stuff. Take a minute and see if we can help. 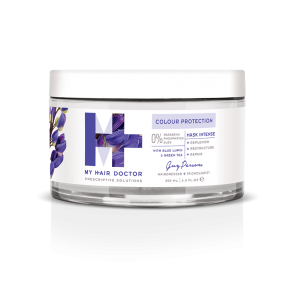 We are frequently asked such gems as ‘why is my hair greasy after I’ve just conditioned it?’ or ‘should I condition my hair every time I wash it?’ and a whole host of other questions about the correct way to condition and maintain our lovely locks. Should you leave a bit of that conditioner in your hair when rinsing it off? you know, that sort of stuff. Take a minute and see if we can help. Many of you wash and dry your hair every day or every other day, some of you have hair that’s easy, some of you have enough hair for two people! So… what’s the correct way to rough dry your hair? Is there a correct way? 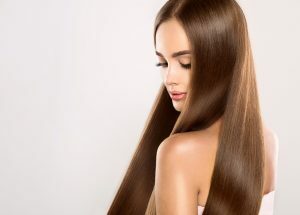 The answer is that there are a number of ways to ‘rough dry’ your hair but there are some common ‘do’s’ and some very common ‘dont’s!’ Simple things like hold the hairdryer down on your hair rather than blow upwards, you know that sort of stuff. No it’s not ok to run the straightening irons through your wet or damp hair! However, we thought it was vital that you know exactly how to use it. Think of your scalp as you would your face to some degree. The exfoliator is here to give your scalp a much needed weekly or twice weekly deep clean, getting rid of those old skin cells and well… other bits of debris that is super essential to healthy hair growth. We know to many of you that this is a new concept but we feel it is a vital concept and most of our ‘team’ that use it love it. So we ask that you take a look at our video, ‘get’ the product and make your own opinions. We don’t think you’ll be disappointed. 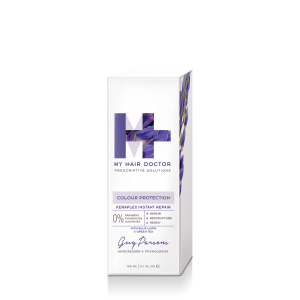 Our My Hair Doctor Colour Protection Keraplex Instant Repair is already one of our ‘hero’ products. 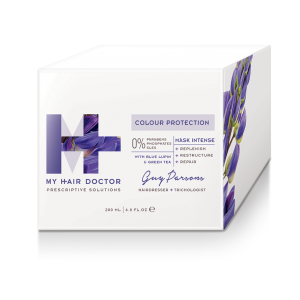 For those of you with lots of colour processing in your hair, too much damage from blow-drying or ironing every morning this is the product for you. We sincerely guarantee that not only will this masterpiece of modern haircare repair your hair, it will also transform it, not for just one wash but for weeks to come. 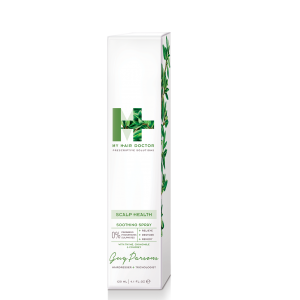 Use on a regular basis and you can see and feel the difference and certainly see how much better it is than many other similarly named products. We believe that Keraplex is the future of one off Hair Repair. 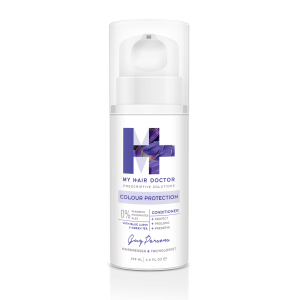 The range has an anti-ageing Botanical Complex featuring Gingko Biloba and Kigelia Africana which inhibit hair loss and thinning whilst improving scalp condition allowing healthly hair growth. The range is a 5 step long term solution to hair loss. Shampoo that promotes volume and scalp health. 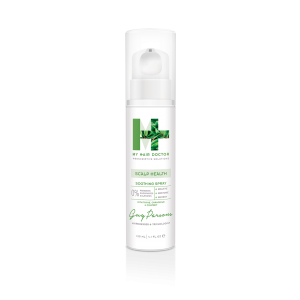 Conditioner that builds body and enhance the feel of the hair. 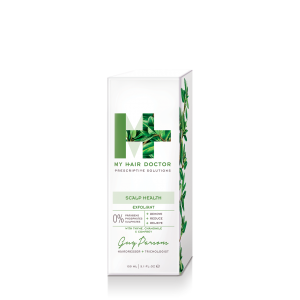 HairFood Growth Booster that stimulates growth and promotes volume and HairFood Nutritional Supplement that contains a powerful cocktail of essential nutrients like B Vitamins, Collagen and Zinc which are essential for hair, skin and nail growth. 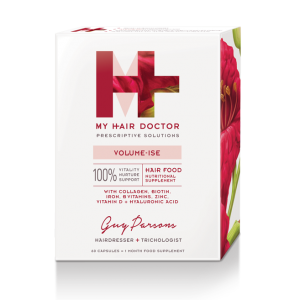 Scroll down, take a look at our video on how to use the range and for more information you can also look at the video content under our HAIRFOOD section where Guy Parsons, My Hair Doctor explains the reasons for thinning hair and hair loss. 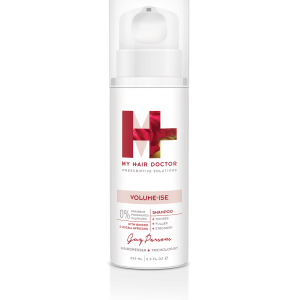 Try the whole range for the optimum package to regenerate your hair growth.